“Noche de las Estrellas,” or Night of the Stars, was held November 17th, 2012 in el Morro, Old San Juan. In Mexico City, Mexico’s capital, over 70,000 people participated in the event. 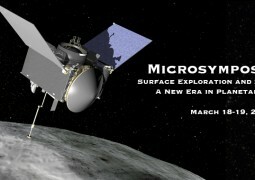 In Puerto Rico, over 2,000 community members participated in the observation of the Solar System. Members and administrators of the Association of Astronomy of Puerto Rico hosted ten telescopes on-site for observation by students, teachers, faculty, and Puerto Rico community members. 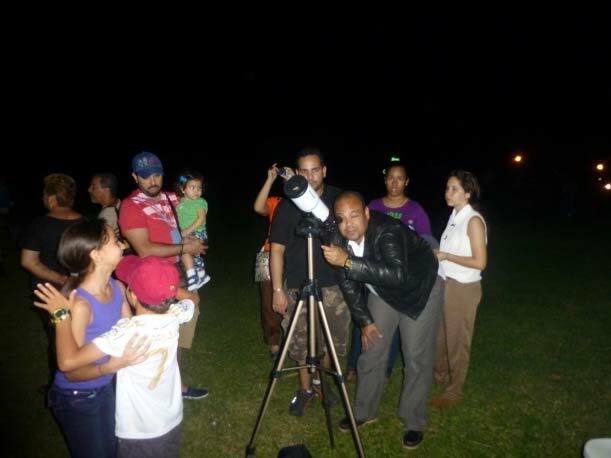 In addition to the gathering at el Morrow, the Association of Astronomy of Puerto Rico was able to organize observations in Ponce and Arecibo for the island’s Noche de las Estrellas event. 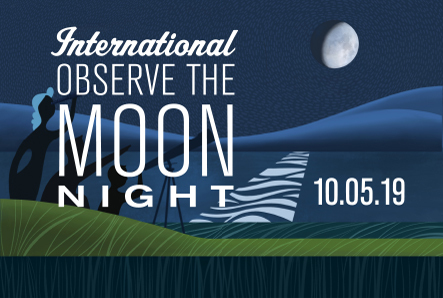 The Noche de las Estrellas is an activity organized by the Universidad Nacional Autonoma de Mexico (UNAM) with participation from organizations in Guatemala, Colombia, Costa Rica and France. 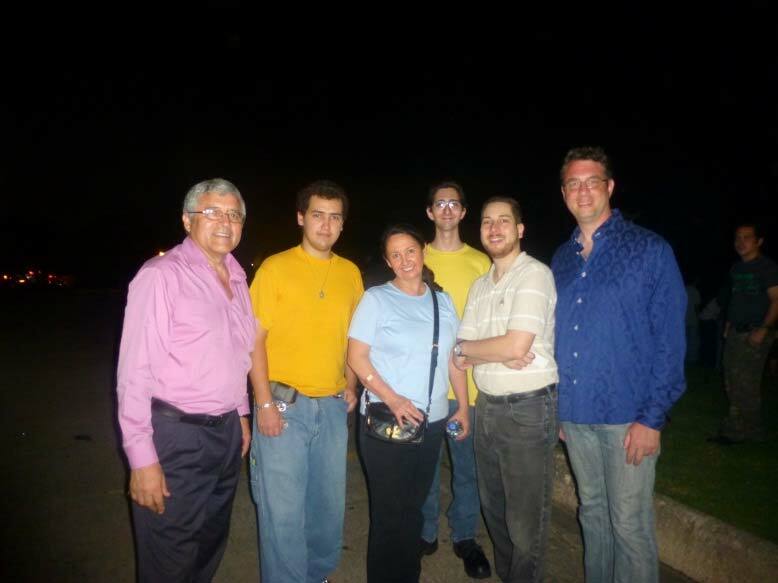 Dr. Yvonne Pendleton, NASA Lunar Science Institute Director (center); Dr. Juan F. Arratia, Deputy Director Arecibo Observatory (far left); Prof. Armando Caussade, President Association of Astronomy of Puerto Rico (second from the right) with students from Astronomy groups of Universidad Metropolitana.